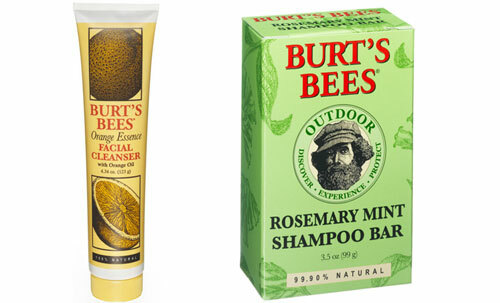 A good friend of mine, Troy D., brought Burt’s Bees to my attention years before they were bought by Clorox. However, the company still operates in the best interest of the customer and uses only natural (healthy) ingredients in their products. The two products I use daily are the Rosemary Mint Shampoo Bar and the Orange Essence Facial Cleanser. There is no reason that a guy should purchase conditioners and shampoo when a good ol’ shampoo bar does the trick. Simply rub the bar directly on wet hair and work into a lather and bam, you have refreshing rosemary minty clean hair, plus, it’s 99.90% Natural (good enough for me). I also use the Orange Essence Facial Cleanser and if you like oranges, you’ll LOVE this cleaner! Since it’s 100% natural, you can also use it as an Ice Cream topping*. If you are looking to try some new Grooming products then definitely try these two items! * Even though it is 100% natural, it is not recommended that you consume this cleanser.